Is Your House a Mirror of Who You Are? Do the Houses We Imagine Reflect Who We Are? You don't have to be asleep to dream about architecture. Imagine if you could have any house you wanted. Money is no object. You can place the house anywhere in the world (or the solar system, or the universe) and you can build the house from any matter you wish—construction materials that exist today or that haven't been invented yet. Your building can be organic and alive, synthetic and futuristic, or anything your creative mind can imagine. What would that house look like? What would be the color and texture of the walls, the shape of the rooms, the quality of the light? Do you ever dream about houses, office buildings, public spaces, or what architects call the built environment? What do house dreams mean? Psychologists have theories. For the Swiss psychologist Carl Jung, building a house was a symbol of building a self. In his autobiographical Memories, Dreams, Reflections, Jung described the gradual evolution of his home on Lake Zurich. Jung spent more than thirty years building this castle-like structure, and he believed that the towers and annexes represented his psyche. What about the dreams of children, of houses shaped like cotton candy, swirling sweets, or doughnuts? Rooms could be arranged in a ring around a central courtyard, and the courtyard could be open, or covered with tensile ETFE like a circus tent, or have a glass roof to maintain the steamy climate and protect exotic endangered tropical birds. All windows in this house would look inward at the courtyard. No windows would look outward at the exterior world. A child's dream house can reveal an introverted, perhaps egotistical architecture, which no doubt expresses the child-self. As we age, our dream houses may become reshaped. Instead of an inner courtyard, the design might morph into sociable porches and big bay windows or large common rooms and communal spaces. The house of your dreams can reflect who you are in any point of time, or simply who you wish to become. Can we know more about who we are by looking at where we live? Professor Clare Cooper Marcus studied the human aspects of architecture, public spaces, and landscape architecture at the University of California in Berkeley. She's written extensively about the relationship between dwellings and the people who occupy them. 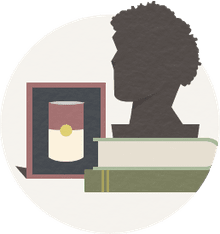 Her book House as a Mirror of Self explores the meaning of "Home" as a place of self-expression, as a place of nurture, and as a place of sociability. Marcus spent years looking at people's drawings of memorable childhood places, and her book draws on Jungian concepts of the collective unconscious and archetypes. Once featured on Oprah, House As A Mirror of Self may not be for everyone, but Clare Cooper Marcus will take you to a dwelling you've never before been. House As A Mirror of Self isn't just to read: This is a book to play with, mull over, and dream about. Clare Cooper Marcus, an architecture professor, delves into the realm of psychology, exploring the profound relationship between humans and their dwellings. Her ideas are based on interviews with more than a hundred people living in all types of housing. In addition, Marcus presents a fascinating collection of artwork which illustrates how psychological factors shape the homes we build. The emphasis here is on the word home. Marcus is not writing about houses in terms of floor plans, architectural styles, closet space, or structural stability. Instead, she examines the ways these factors reflect self image and emotional well-being. Drawing on Jungian concepts of the collective unconscious and archetypes, Marcus looks at the ways children perceive their homes and the ways our chosen surroundings change as we mature. Photographs of houses and artwork by their occupants are analyzed to explore the complex relationship between the spirit and the physical environment. The ideas in the book may seem weighty, but the writing is not. In less than 300 pages, Marcus gives us lively narrative and more than 50 illustrations (many in color). Each chapter concludes with an eye-opening series of self-help exercises. While psychologists and architects may benefit from the research findings, the layperson will be enlightened and enriched by the stories, drawings, and activities. 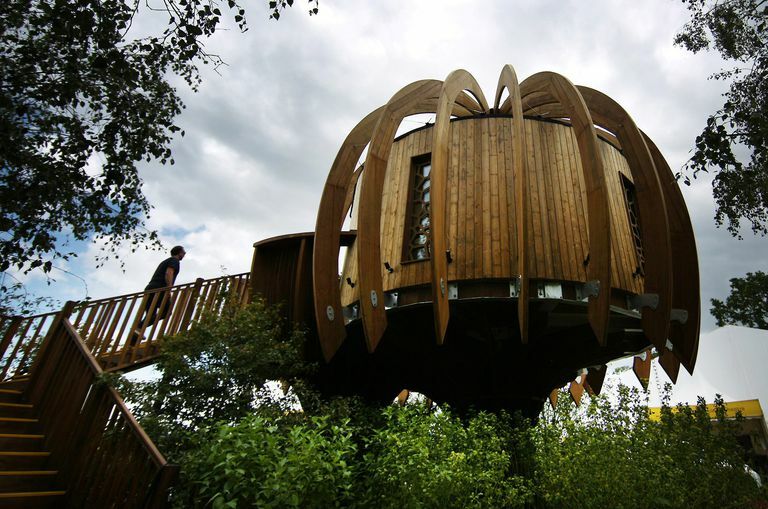 Made of natural wood and hovering in the sky, the treehouse shown above might appear in a dream. This home is no fantasy, however. With 26 timber ribs and 48 timber fins, the cocoon-like creation is a study in silence. The manufacturer, Blue Forest, dubbed the house Quiet Mark after the international organization that promotes noise abatement designs—Quiet Homes, Quiet Outdoor Spaces, Quiet Hotels, Quiet Offices, and Quiet Products. Blue Forest founder, Andy Payne, brought his treehouse ideas from Kenya, where he was born. The Quiet Mark house was built in 2014 for the RHS Hampton Court Palace Flower Show. Even in the noise and bustle of London, the treehouse offered profound silence and a glimpse into a faraway place. Payne seemed to draw from his subconscious. What type of homes do your dreams inspire?